THE SENIOR UK Police officer heading up the hunt for a dangerous escaped criminal has said his links with Ireland are being investigated. 55-year-old Michael Wheatley absconded from an open prison on the Isle of Sheppey in Kent at the weekend, after being granted day release. He was sentenced to 13 life terms in prison in 2002 after carrying out a series of violent bank robberies. Wheatley earned his nickname for ‘pistol-whipping’ victims in the course of the attacks, including one 73-year-old woman. “Our enquiries are on-going and we have several leads to follow,” Detective Chief Inspector Ann Lisseman of Kent Police said. We are aware that Michael Wheatley has past associations in Ireland, Cheshire and North Wales and we are working with numerous police forces as part of our efforts to find him. Wheatley failed to return to prison on Saturday evening, having been granted a temporary day licence. A large-scale search operation has been ongoing since Saturday night, involving a team of specialist officers. Its believed the convict travelled by train to the London area. He boarded the 9.20am high speed train at Sittingbourne and the train was headed for Stratford International. Officers are keen to hear from anyone who was on that train and saw him to come forward. Officers responded to a confirmed sighting of Wheatley at 7.55pm on Monday, 5 May, at a property in the Strawberry Hill area of Twickenham. This led officers to search several other properties and establishments in the Twickenham area. 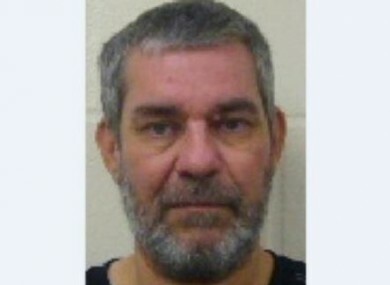 Kent Police have warned members of the public not to approach Wheatley, and to contact authorities if they see him. Email “UK police investigating Irish links of escaped 'Skull Cracker'”. Feedback on “UK police investigating Irish links of escaped 'Skull Cracker'”.